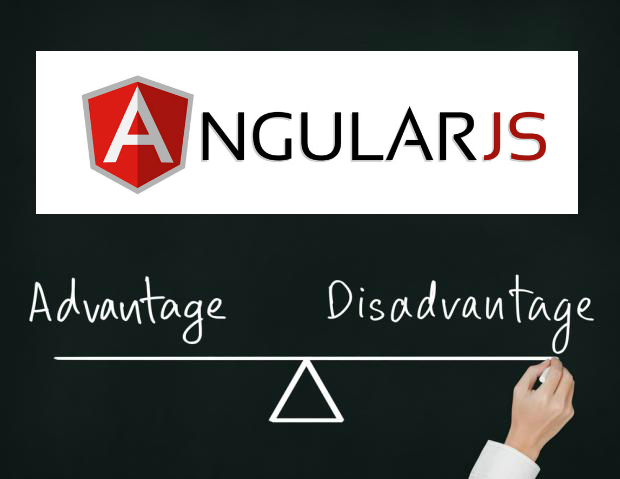 Angular JS is probably one of the most popular modern day web frameworks available today. This framework is used for developing mostly Single Page applications. 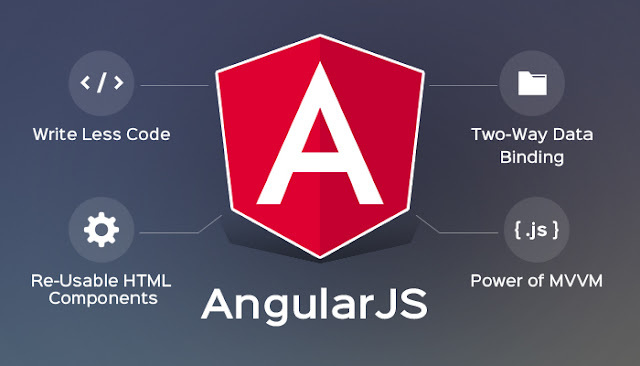 This framework has been developed by a group of developers from Google itself. Angular has the following key features which makes it one of the powerful frameworks in the market. 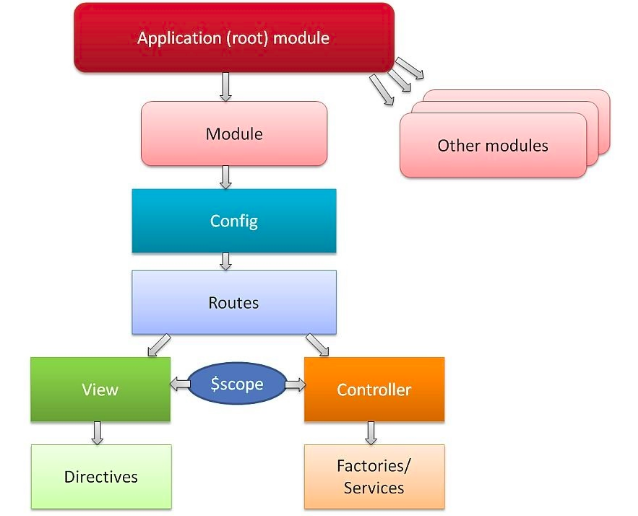 MVC – The framework is built on the famous concept of MVC (Model-View-Controller). This is a design pattern used in all modern day web applications. This pattern is based on splitting the business logic layer, the data layer, and presentation layer into separate sections. 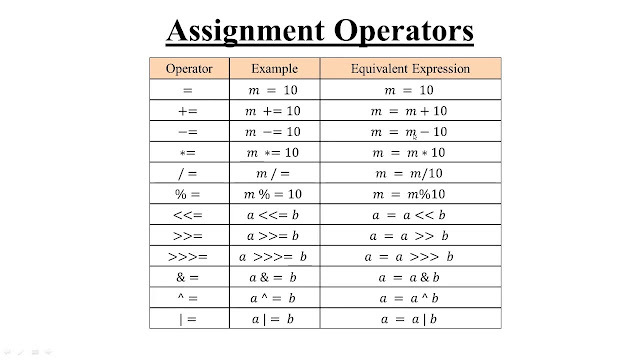 The division into different sections is done so that each one could be managed more easily. Data Model Binding – You don't need to write special code to bind data to the HTML controls. 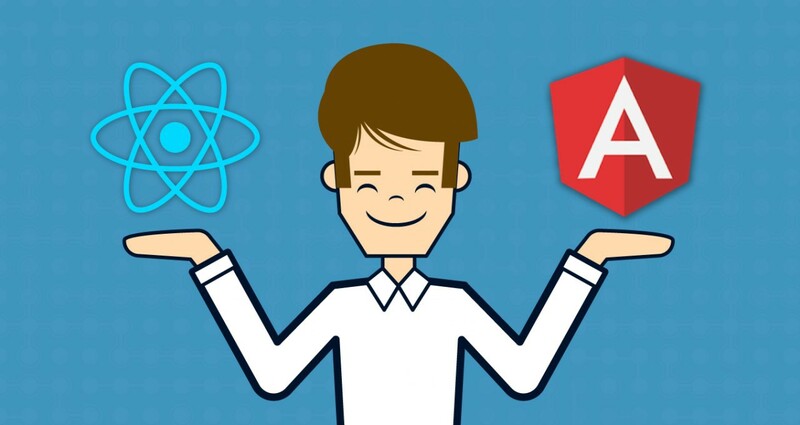 This can be done by Angular by just adding a few snippets of code. Unit Testing ready – The designers at Google not only developed Angular but also developed a testing framework called "Karma" which helps in designing unit tests for AngularJS applications. Angular.js follows the MVC architecture, the diagram of the MVC framework as shown below. Models are used to represent your data. The data in your model can be as simple as just having primitive declarations. For example, if you are maintaining a student application, your data model could just have a student id and a name. Or it can also be complex by having a structured data model. If you are maintaining a car ownership application, you can have structures to define the vehicle itself in terms of its engine capacity, seating capacity, etc. The Controller represents the layer that has the business logic. User events trigger the functions which are stored inside your controller. The user events are part of the controller. Views are used to represent the presentation layer which is provided to the end users. 1. 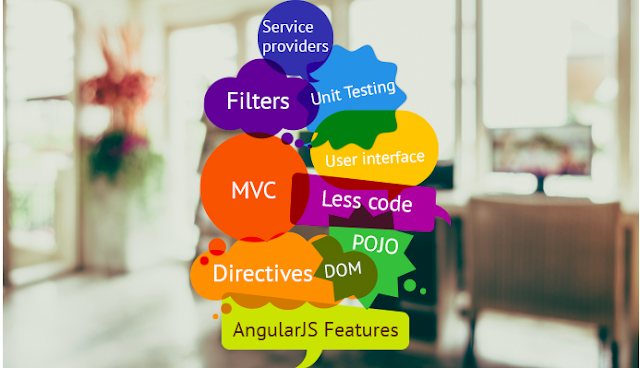 It provides the facility to create Single Page Application in a very clean and maintainable way. 3. Its code is unit testable. 4. It uses dependency injection. 5. It provides reusable components.